Samsung announced the ‘Galaxy Grand Neo Plus’ in January 2015. The device is now listed on the Samsung’s official online store for Rs. 9,990. Specifications of the latest device are almost identical to the last years Galaxy Grand Neo which is originally launched for Rs. 17,901; but later the prices slashed down to Rs. 12,590. 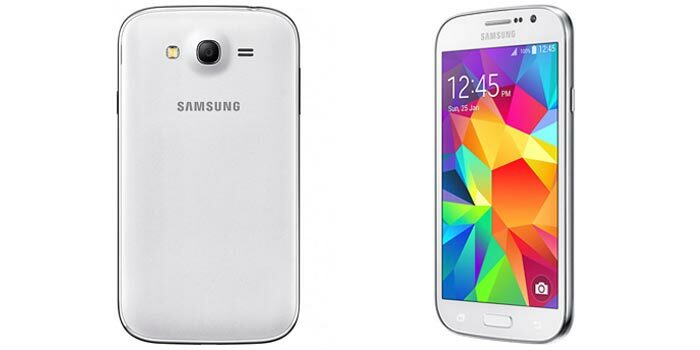 The single SIM variant of Galaxy Grand Neo Plus was launched earlier in Italy. The launch of the device in other countries is unknown, but we can expect Samsung to launch it at least in the other South Asian countries. Galaxy Grand Neo Plus sports a 5.0-inch WVGA (854×480) TFT display with a pixel density of 196ppi and is powered by a Broadcom BCM23550 quad-core processor clocked at 1.2GHz. It comes with 1GB of RAM, 8GB of built-in storage along with microSD card slot (up to 64GB supported) and a battery of 2,100mAh battery. The camera on the back of the device is of 5MP with Autofocus and LED flash; for selfies and video calls a 2MP front-facing camera is included. Connectivity of the device includes Wi-Fi, 3G, GPS, and Bluetooth 4.0. Here we miss the 4G LTE, where almost all the recently launched mid-range devices are coming with 4G compatibility. It runs on Android 4.4 Kitkat based TouchWiz UI. The device weighs 160 grams and measures 143.7 x 77.1 x 9.5 (mm). It includes the proximity sensor, accelerometer and compass. It comes in Gold, White and Black colours. The Galaxy Grand Neo Plus competes with newly launched YU Yuphoria along with Xiaomi Redmi 2 and Moto E (2nd Gen). Samsung yesterday announced the Iron Man version of Galaxy S6 and Galaxy S6 edge will be launching next week. The company launched their flagship Galaxy S6 and S6 edge in two new colours; the Galaxy S6 comes in Blue Topaz and S6 edge in Green Emerald. This company is going to be closed in a few years.